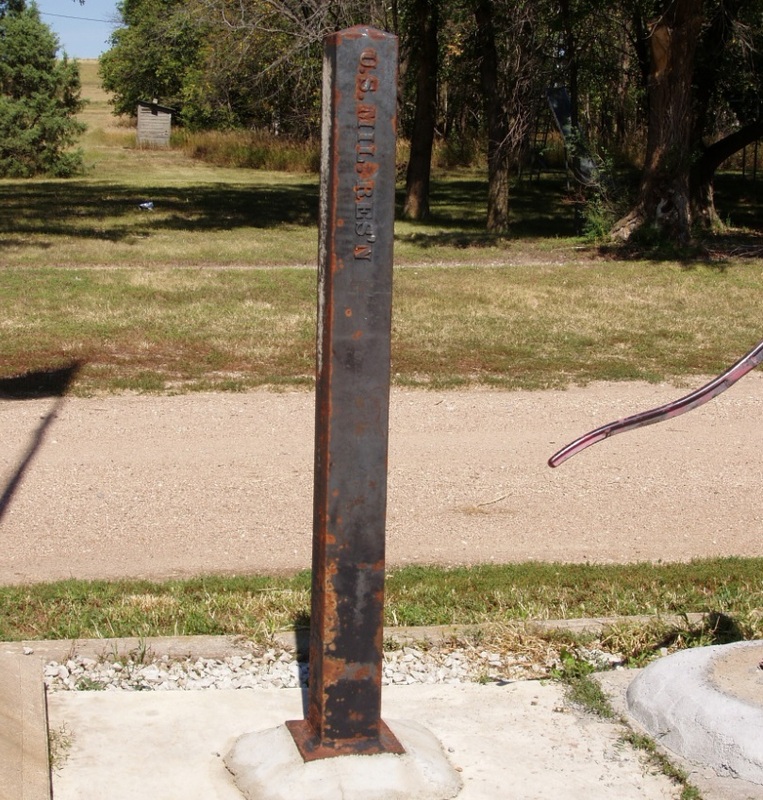 These iron posts were once located along the boundary of the former Fort Randall Military Reservation that was partly in both Nebraska and South Dakota. 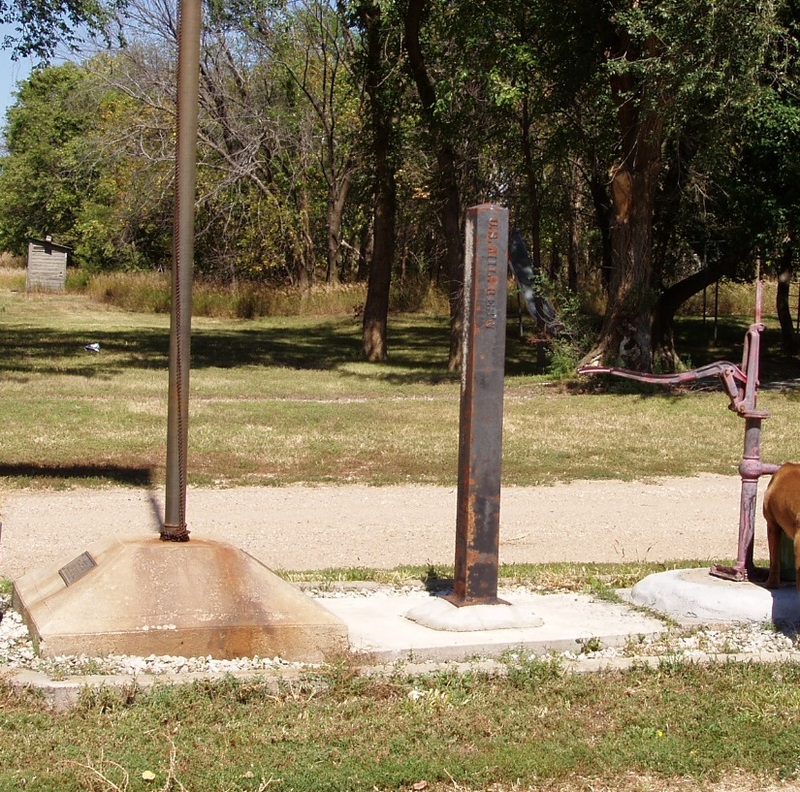 The posts shown below are believed to be those from the SE Corner of the reservation and along the easterly line at the south bank of the Missouri River. 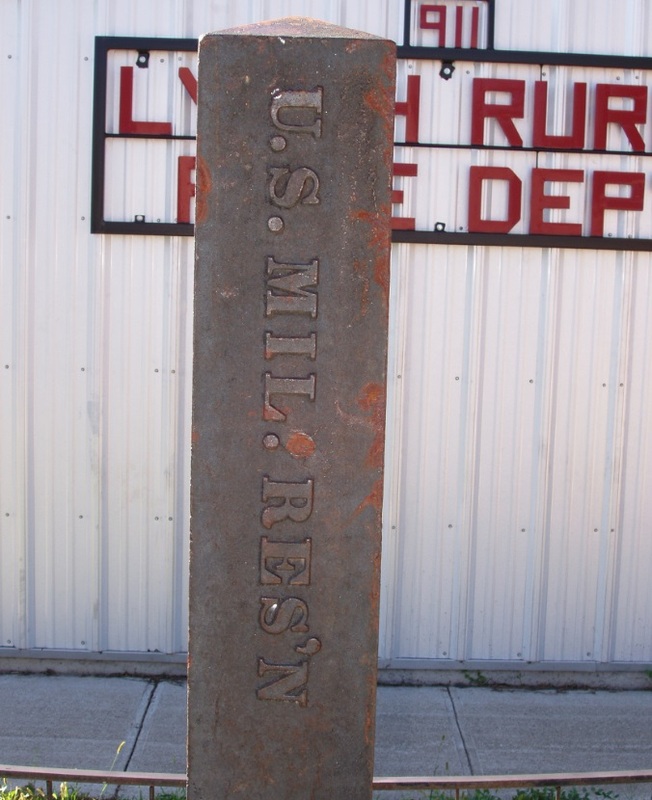 During the 1970's or 80's, the iron posts were taken from their locations. Many years later, the person who took them anonymously made them available. 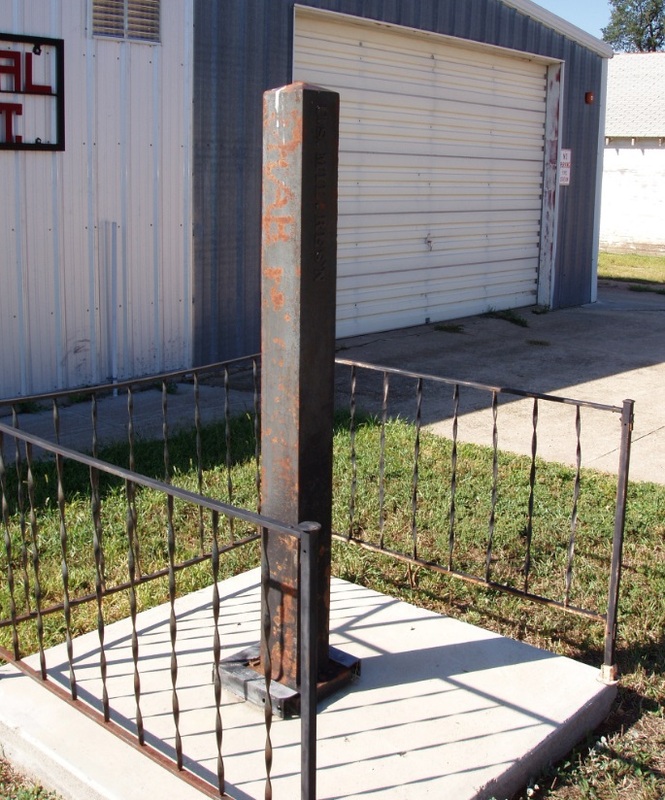 The small towns of Gross and Lynch each decided to put one on public display which is where they are located today.